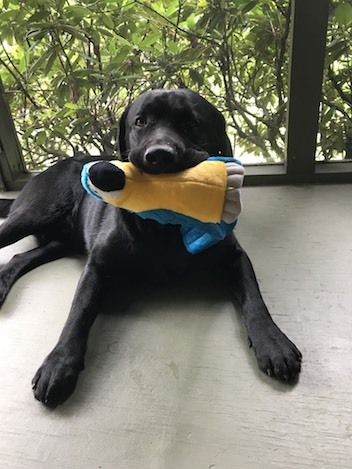 As many, many Lab parents know, swallowing various items – especially toys and socks – is par for the course with these adorable mischief-makers. Unfortunately, it can be very serious and cause an intestinal blockage, which can then lead to emergency Foreign Body Obstruction surgery. Jude’s intestinal blockage and emergency surgery totaled $4,734, of which Healthy Paws reimbursed $4,201 (Jen’s plan is a 90% reimbursement level with a $250 annual deductible). “If we didn’t have Healthy Paws, we would have struggled to pay those bills. 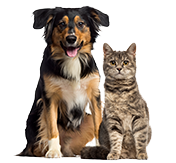 Plus, it was easy to submit the claim; the reimbursement check came quickly and Healthy Paws even checked in to see how Jude was doing.” Jude has since fully recovered and is back to chewing – and not swallowing – a plethora of fun, furry toys. Got a Lab? Then you might want to get pet insurance! At Healthy Paws, we see many Labrador retriever pet parents file claims for tummy troubles including swallowing socks whole, eating avocado pits and wolfing down tennis balls. Don’t be caught off-guard with emergency Foreign Body Obstruction surgery; get a free quote today.